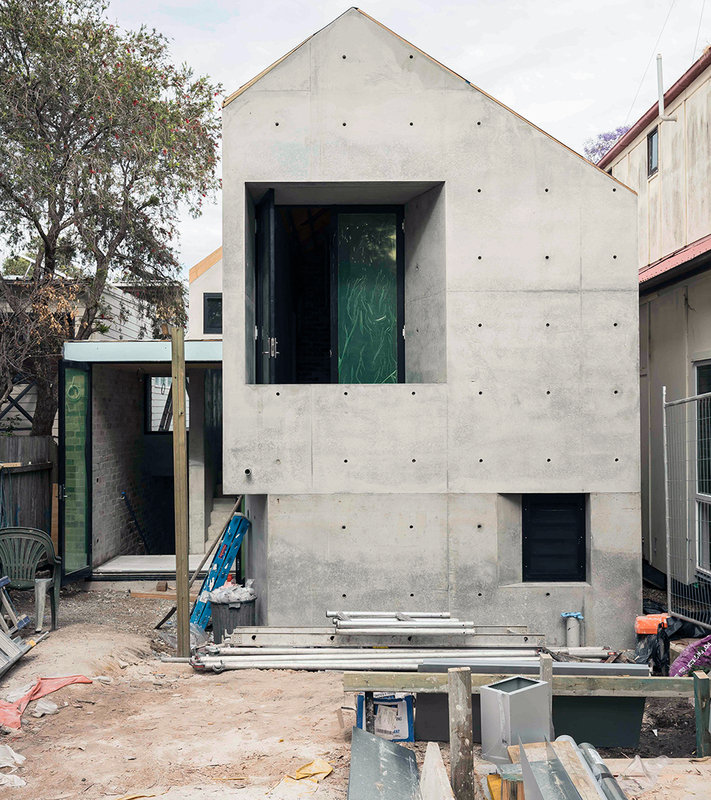 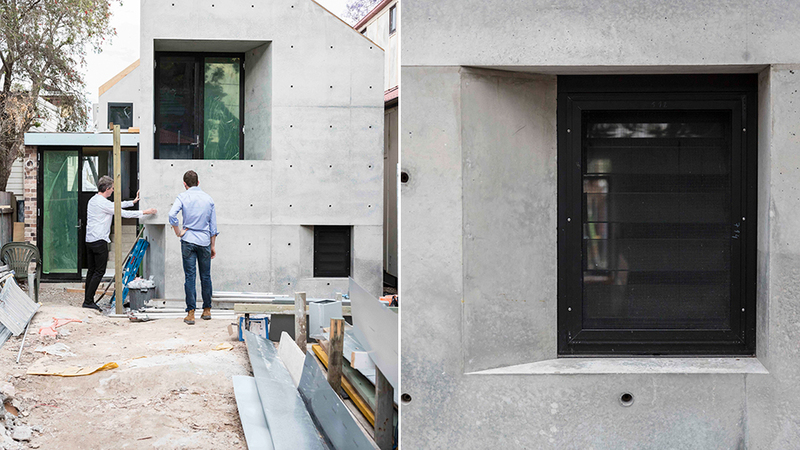 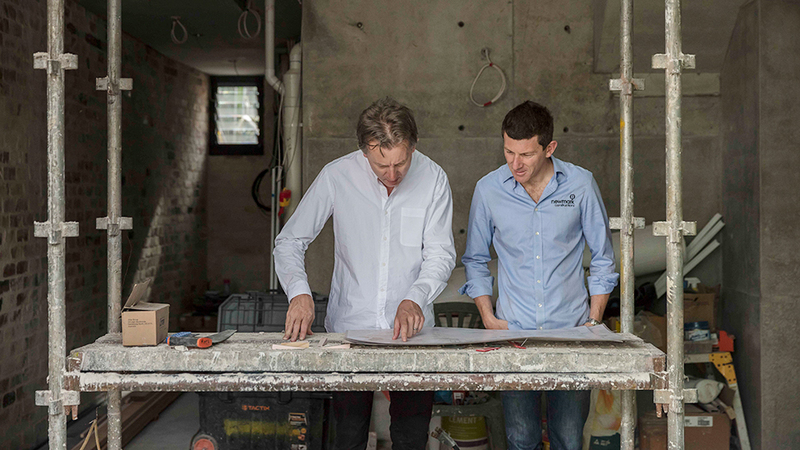 This project is a new free standing concrete house positioned closely behind a sandstone workers cottage in the historic precinct of East Balmain. 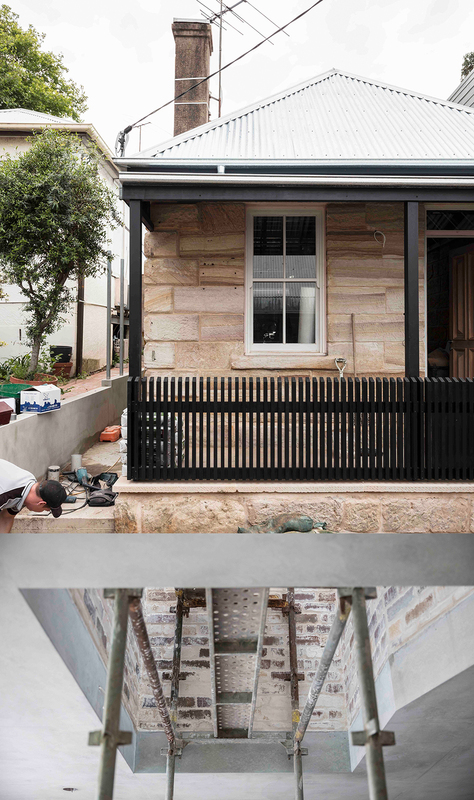 The new building includes new living, kitchen, dining and bedrooms, along with the re-landscaping of the entire site. 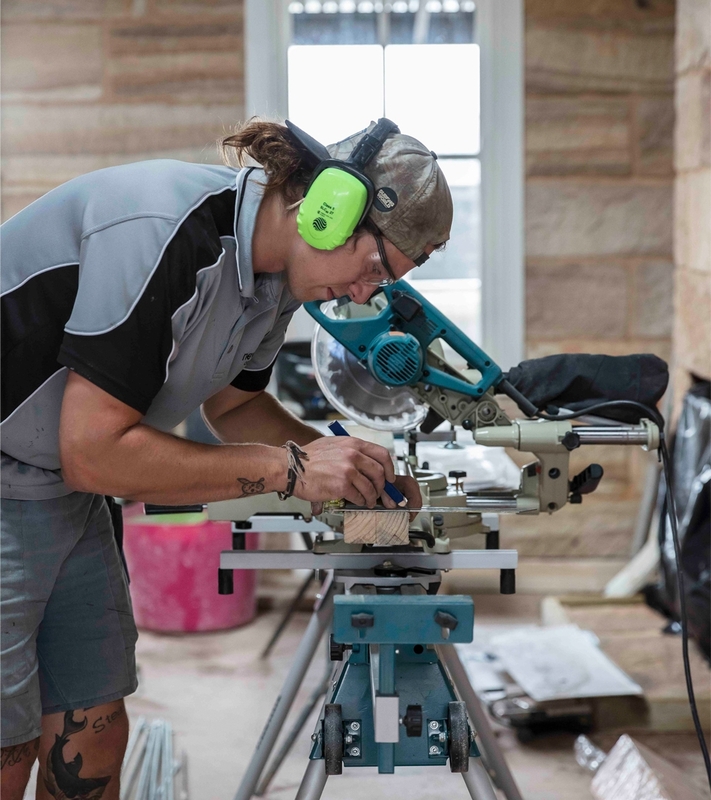 The design positions the new bedrooms areas above a series of open plan living spaces with intimate and varied connections to the surrounding gardens. 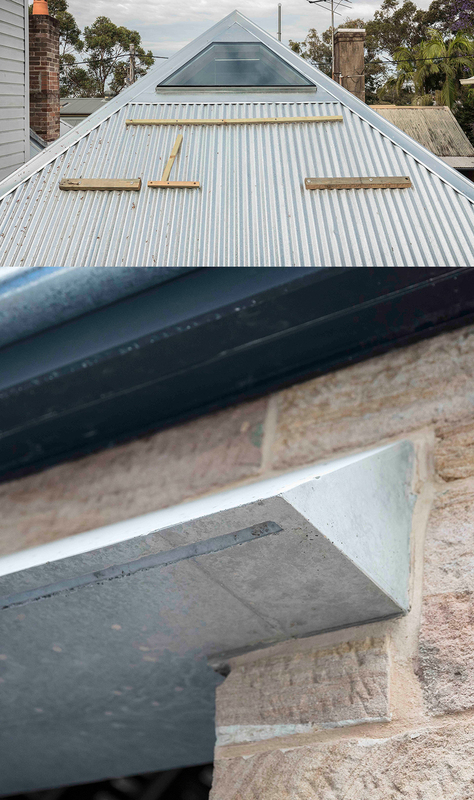 The new concrete building form is conceived as an altered duplication of the existing sandstone cottage, that playfully mimic’s its traditional roof geometries whilst emphasising a sense of solidity and permanence through the use of complimentary new materials.